Conor Lamb, a Democrat, pulled off a narrow but major upset by winning a special House election in the heart of Pennsylvania Trump country. Mr. Lamb won in the state’s 18th Congressional District, a reliably Republican seat in recent elections and an area that Donald J. Trump won by nearly 20 percentage points in 2016. The victory is an ominous sign for Republicans ahead of this year’s midterm elections. What the Times failed to mention is that Conor Lamb won because he sounded more like a Republican than the Republican, taking pro-gun, pro-life, pro-tariffs, and — ready? 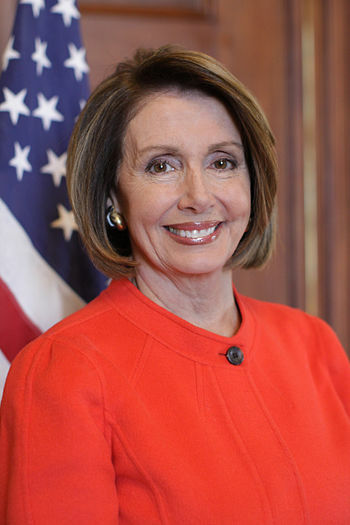 — anti-Nancy Pelosi stands. Those stands are a warning to Democrats seeking to repeat Lamb’s victory: They will have to adopt much more conservative positions than usual to win in November. Despite claims by the mainstream media that the victory of the Democrat in Pennsylvania’s special election on Tuesday over the Trump-endorsed Republican sounded the death knell for Republicans in November, the exact opposite is true. The only way Democrats have any chance of turning the 25 seats they need in the House in their direction is for them to become Republicans. That’s the lesson from Pennsylvania. It wasn’t so much a battle of Republican versus Democrat but a battle of Americanist A versus Americanist B. Americanist A, one Conor Lamb, looks like he was selected from central casting: handsome, articulate, and skilled in public discourse. Americanist B, Rick Saccone, didn’t measure up. Lamb’s campaign supporting the Second Amendment, Trump’s tariffs, the local coal industry, the right to life for the unborn left Saccone without any leverage. How does one debate someone who already agrees with you on the basics? The same might be said about the effect that the magic elixir of deregulation and cuts in tax rates is having not only in the United States, but globally as well. Economists at the International Monetary Fund just announced that, thanks to the combination of those two potent medicines, it has revised its global economic growth estimates for each of the next two years to 3.9 percent. This is a staggering 70 percent improvement over the average global GDP growth experienced during the unlamented Obama years. It may be a little early to tell, but at the moment the middle class is doing just fine. Life goes on; if Armageddon occurred, the media missed it. That “punch in the gut for the middle class” is about to be caused by heavier wallets, thanks to tax cuts showing up in their February paychecks. Dow Smashes Through 25,000; to Smash Dems in November? The surprising thing about the Dow’s volcanic eruption through the 25,000 level on Thursday is that it was matched by all-time highs in other key stock market indexes such as the S&P 500 Index, the NASDAQ, and the Russell 2000. Even more surprising is that this isn’t happening in an American vacuum: Japan’s Nikkei Stock Average hit a new 26-year high, rising above 23,000 for the first time since January 1992. The Hang Seng (Hong Kong) Index just touched a new 10-year high, while major stock market indexes in New Zealand, the Philippines, and Thailand also set new records on Thursday. 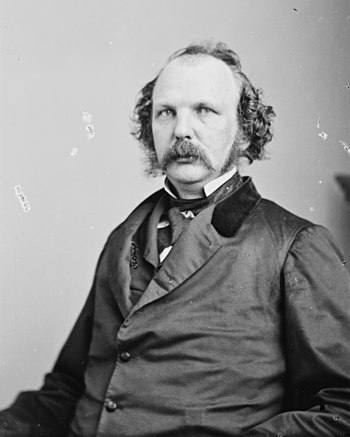 Former Harvard University professor George Santayana said, “Those who do not learn from history are doomed to repeat it.” What’s frustrating isn’t that those lessons are obscure; it’s that those promoting provable falsehoods from history are allowed such public acceptance and credibility. It reminds one of the cigarette sellers’ slogan: “Winston tastes good like a cigarette should.” Never mind that smoking will kill you. Imagine, then, making sausages on the deck of the Titanic just after it hit an iceberg on the glassy sea of the North Atlantic in the early morning hours of April 15, 1912. The wonderful smells might have distracted the passengers from the reality that within two hours and forty minutes the unsinkable ship would disappear beneath the surface of the icy waters, taking 1,550 passengers with her. We have come together in a bipartisan way to put together what we thought would save the most lives. And that is to have background checks, gun violence prevention background checks, and to have them be effective. Loesch gets much credit for knowing precisely whom she is dealing with in Congresswoman Rice, and what Rice has in store for all Americans who own guns in the brave new communist world she is working to create. Unfortunately, most Americans watching the unfolding chatter, banter, and challenge on Twitter don’t know the back story. The New American is happy to provide it. On her website Rice touts her experience as a former homicide prosecutor in Brooklyn followed by a stint as district attorney of Nassau County: “I aggressively enforced gun laws and led intelligence-driven investigations to take down gun traffickers and seize illegal guns before they reached our neighborhoods,” she asserted. She is right about one thing: She was certainly aggressive in enforcing those laws. So aggressive in fact that in 2012 a federal jury tossed a case she brought against gun dealer Martin Tretola and awarded him $5 million for compensatory and punitive damages in an effort to offset the pain and suffering he endured for false arrest and prosecution by her. So aggressive in fact was Rice’s enforcement of gun laws that this isn’t the only case staining her history as DA. Antowine Butts spent two years in jail for a crime he didn’t commit before being released as the case against him unraveled. Butts sued Rice, claiming that she and detectives involved in the case coerced witnesses into testifying against him. One of those witnesses even claimed, under oath, that Rice had arrested the wrong man but she ignored him. For that injustice Butts was awarded $220,000. A Newsday examination of Rice’s career found at least five instances, including the troubled Butts case, in which Rice was accused of intentional misconduct or of committing a procedural effort serious enough to put her case in jeopardy. At least two convictions Rice helped secure have been overturned for those reasons, and at least three sitting or retired judges have rebuked Rice over her handing of a case. A fourth judge sanctioned her in another case. When House Representative Carolyn McCarthy from New York’s Fourth District retired in 2014, Rice left her position and ran a successful effort to replace her. She was sworn in under oath to preserve and protect the Constitution of the United States on January 3, 2015, and has worked night and day to violate and undermine it ever since. The week after the Orlando nightclub shooting in June 2016, Rice joined about 20 other far-left members in an infamous “sit-in” — a communist tactic — that shut down the House for 24 hours. The protest was over the House not voting for a gun bill in response to the shooting. She joined other far-left members such as John Lewis and Nancy Pelosi in singing the communist anthem “We Shall Overcome” along the way. Her voting record reflects her ideology. The Freedom Index, published quarterly by The New American, is based on how closely her votes hew to the Constitution she swore to uphold and defend. Her rating is seven percent out of 100 percent. Loesch, and now the readers here, know exactly who Rice is and what she stands for — all information that her website and the fake news media have hidden from view. Rice is using another well-honed communist tactic in her tweets: accusing Loesch and the NRA of exactly what she herself is guilty of. Democrats are so upset over the Democrat Party’s new slogan that some demanded that its originator be fired immediately. The slogan, unveiled by Democrat Senate Minority Leader Charles Schumer in the New York Times on Monday, is: “A Better Deal: Better Jobs, Better Wages, Better Future.” This was birthed after months of intense mental analysis of last November’s loss to Donald Trump, and it was, according to many, stillborn. The Gateway Pundit massaged Papa John’s Pizza logo on its website, showing Nancy Pelosi beneath the banner, and below, instead of “Papa John’s” was “Dems: Still Pelosi.” It’s worth clicking on it. (See Sources below). Other Democrats were less charitable. 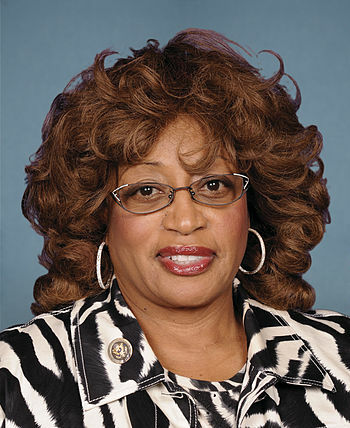 Official Congressional portrait of former Congresswoman Corrine Brown. After 11 hours, the jury hearing the case against former Florida Democrat Representative Corrine Brown reached a verdict on Thursday: guilty on 18 out of 22 charges filed against her in federal court. The jury convicted her of conspiracy, five counts of mail fraud, seven counts of wire fraud, one count of scheming to conceal material facts in the case, one count of obstruction of justice, and three counts of tax fraud. After debating hundreds of items in the stop-gap government spending bill to fund the government through September, congressional leaders birthed a beast that rejected nearly all of President Donald Trump’s campaign promises. From the beginning, Democrats have sought to avert another destructive Republican government shutdown, and we have made significant progress improving [this] omnibus bill. When two big-spending, Constitution-ignoring liberal Democrats get excited about a government spending bill, one knows something is dreadfully amiss. The White House sought $30 billion for the Pentagon. It got just $15 billion, with $2.5 billion of it on a conditional basis. The White House wanted funding for the wall. It got $1.5 billion for “border security” but with the proviso that none of it be spent on the wall. The White House has promised to cut funding for Planned Parenthood. Planned Parenthood got an increase. The White House wanted to cut funding to sanctuary cities. That was rejected. Those cities will get their federal funds. It wanted to cut funding for the National Institutes of Health. The NIH got a $2 billion boost. The White House has promised to cut the EPA’s budget. It got millions more in funding, along with a promise that there would be no staff cuts. The White House has stated it wanted cuts to the Energy Department. Instead, the department’s Advanced Research Projects Agency — which funds experimental energy research and has been targeted for elimination by the White House — got millions more to spend instead. The National Endowment for the Arts and the National Endowment for the Humanities? They got increases. In addition, more than 70 items that Bloomberg called “anti-environment policy riders” were scrapped. Most annoying to those thinking that the new president would actually be keeping his promises was his statement that he would sign the bill if it arrives at his desk “as we discussed.” That could happen as early as Wednesday. Perhaps the president is making a deal? Give up a little now in order to press for more later? After all, the bill, once signed, would only fund the government through September. The 2018 budget is still a work in progress. Or is he going along to get along, not wanting to have the Democrats hang the “shutdown the government again” albatross around the Republican Party neck? Or is he betraying his promises to his constituents in order to get “something, anything” about which he can claim victory during the early days of his administration. Or has the president been assimilated by The Borg — the powers-that-be in Washington — and just decided that “resistance is futile” and that he’ll be happy that the cuts to his projects and priorities weren’t even worse? 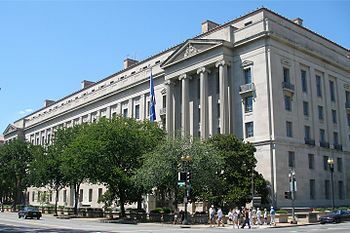 The Robert F. Kennedy Department of Justice Building in Washington, D.C., headquarters of the United States Department of Justice. 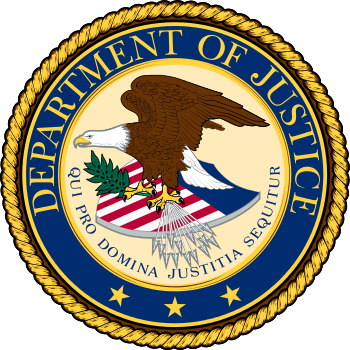 At present, I am not convinced that the defense of the executive order is consistent with these responsibilities of the Department of Justice, nor am I convinced that the executive order is lawful. [That ruling] does not address whether any policy choice embodied in an executive order is wise or just…. I am responsible for ensuring that the positions we take in court remain consistent with this institution’s solemn obligation to always seek justice and stand for what is right. Trump to Acting Attorney General Yates: You’re Fired! Official Congressional portrait of Congresswoman Corrine Brown. Representing Florida’s Fifth Congressional District for nearly a quarter of a century, Congresswoman Corrine Brown has had numerous brushes with the law, both inside and outside Congress. On Friday her indictment on 24 charges of milking her charity is likely to end her legislative career permanently.